A dramatic plant that makes a great focal point. A distinct annual with furry flower heads. 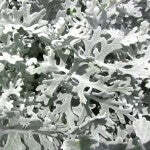 Good for bedding, rock garden or edging use. 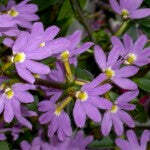 A fabulously fragrant groundcover that is great along walkways, between tall plants or as an edge. 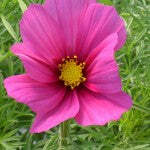 A garden classic, this annual flower is available in a variety of different shapes and colours. 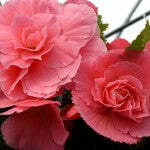 A delicate flowering trailer that is great in pots and containers. 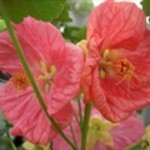 A striking shade plant with large, colourful flowers. Great as the focal piece in pots or containers. 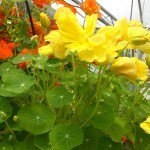 A bright little plant with glossy leaves and vibrant flowers. 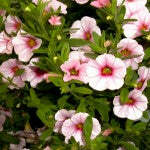 Great as an edging or bedding plant. A colourful plant that forms an attractive mounded shape. 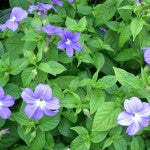 Vibrant purple flowers brighten shady areas. Tropical looking foliage bears large, showy flower spikes in the late season. 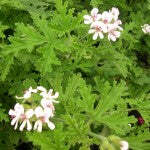 A lemon-scented plant of the geranium family that is used to repel mosquitos when planted in pots on a patio or balcony. 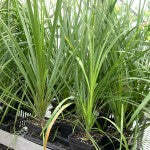 More commonly known as Spider Plant this striking annual is perfect for areas where quick height is required. 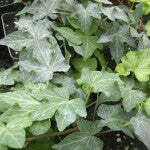 Add a touch of elegance to your shade gardens with this impressive foliage plant. 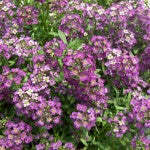 Available in both short and tall varieties, this annual makes a great backdrop or flower border. 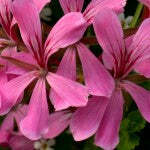 A showy bulb annual that makes a great impact in flowerbeds and in containers, and is available in a variety of shapes, patterns, and colours. 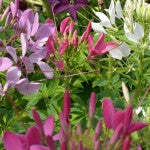 An annual version of ‘Cheddar Pinks’, Dianthis creates a spectacular display of single flowers within the red to white spectrum. 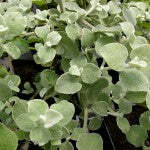 A favourite for patio pots, this foliage plant creates instant height with an impressive display of long, spiked leaves. 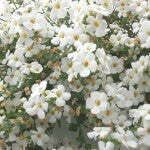 An elegant annual grown primarily for its lacy foliage as opposed to its yellow flowers. Trailing annual that will also climb if trained to do so. 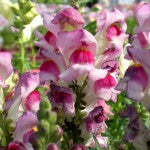 A very vigourous grower and an excellent contrast to more lightly coloured plants. 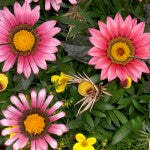 The perfect selection to carry your garden and containers from summer into autumn. A unique shade plant that makes a striking effect in planters. Flowers hang gracefully from the end of the stems like a Christmas tree ornament. 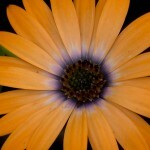 A very colourful daisy-like flower with spiky foliage. 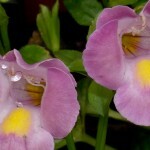 Flowers have a large center and narrow, pointed petals. 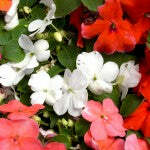 A garden classic with vibrant, double, clustered flowerheads that bloom reliably all summer. 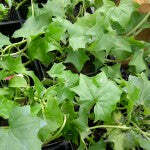 A fast growing vine well-suited to containers and hanging baskets. A classic for the shady garden. 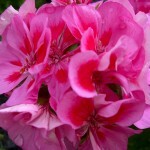 Single flowers bloom in abundance and come in a variety of colours from white to red to purple. 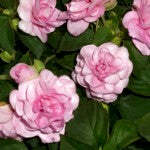 A double-flowering variety of this shade garden favourite. Available in a broad spectrum of colours from clear white to vibrant red. 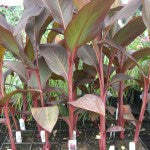 A larger version of this shade garden favourite, New Guineas have bold, deepy glossy leaves and vibrant colours. 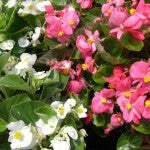 Attractive vine used commonly in hanging baskets and containers. Its soft appearance adds a touch of warmth to its surroundings. A delicate but vibrant flower, forming perfect little mounds. 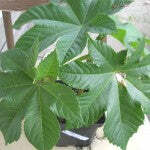 Great as a filler in pots. 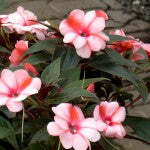 A trailing variety is also available. 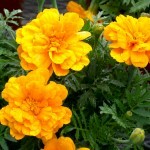 Add some sunshine to your garden with these flowers that stretch into the early fall. Available in tall and short varieties. 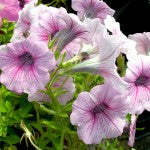 A sort of mini, cascading petunia. Flowers non-stop all season. 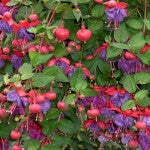 If used solo in hanging baskets, will form a gorgeous mound of colour. A unique annual that looks like it is sticking its tongue out at you. 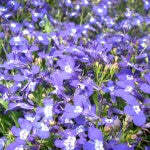 Small flowers cluster together for great colour impact. An interesting annual sometimes used in salads. Very vigourous and makes beautiful hanging baskets. A unique annual to spruce up the fall garden. 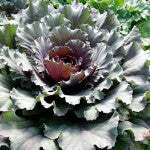 An ornamental variety of cabbage with colourful foliage. Easy to grow. 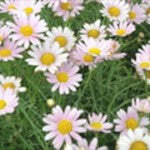 A broad, daisy-like flower with uniquely coloured blooms. Deadhead to encourage a second wave of flowers. 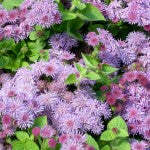 A most reliable garden annual that will thrive in even dry soils. Available in a rainbow of solid colours and colour combinations. 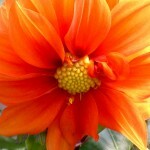 This large, floppy flower is a great colour shot for sunny areas. 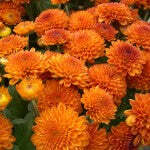 Does best in average soil, but will tolerate conditions of drought quite well. 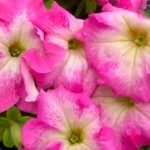 A vigorously spreading variety of the standard Petunia. 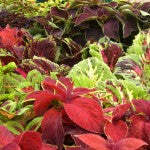 Great for planters, baskets or as a groundcover. 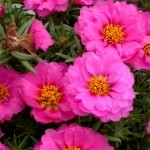 An outstanding plant for seemingly unngrowable areas, Portulaca thrives in hot, dry locations. 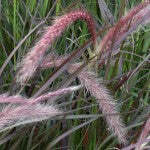 Burgundy-purple foliage is best retained in full sun and is complimented by fuzzy purple plumes that appear later in the season. 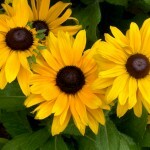 These annuals are better known in their traditional form as ‘Black Eyed Susans’, and are available in a variety of yellow-to-red colour effects. 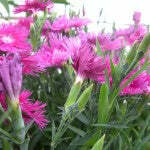 A striking trailing or spreading plant, Scaveola is great as an accent plant, or on its own in a planter. An annual favourite for their striking colours, Snapdragons are available in tall or short varieties, thus very usuable in all areas. 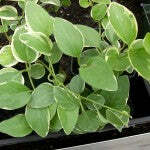 A versatile variegated ivy that will grow in almost any conditions. 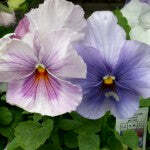 Great in hanging baskets or patio planters.